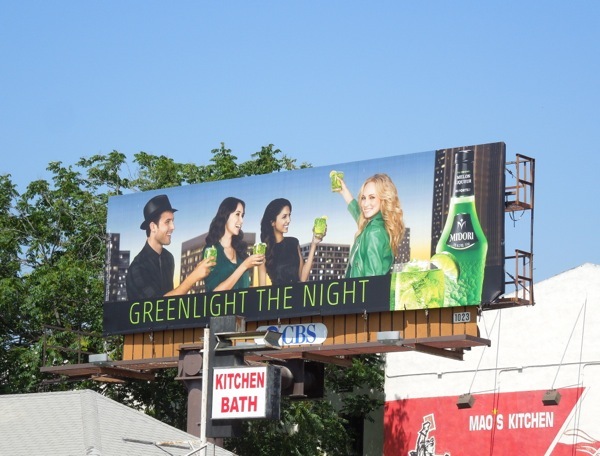 You're no doubt as bored to tears as Daily Billboard is of being bombarded with non-stop mindless trivia about Kim Kardashian's pregnancy, but one of the positive outcomes from her current situation is that she can't be seen to be drinking alcohol when she's with child. 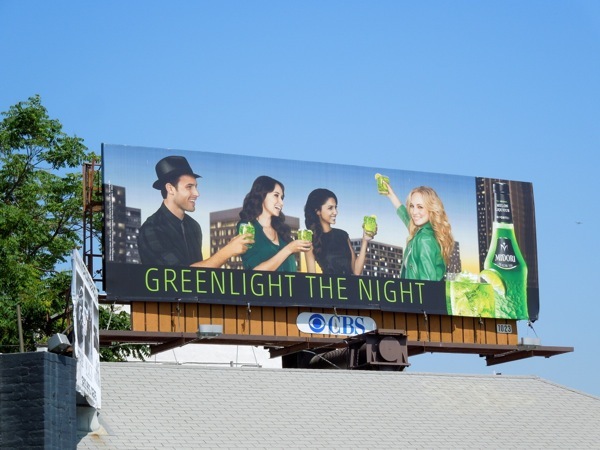 Raise a glass instead to The Vampire Diaries actress Candice Accola, replacing the pregnant reality star and ready to 'Greenlight the Night' as spokesperson and the new ad campaign 'face' of Midori melon liqueur. 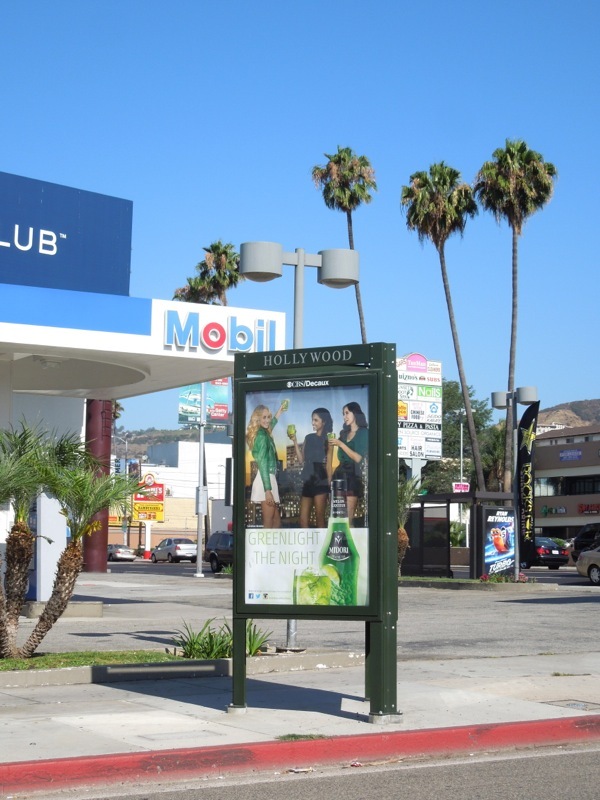 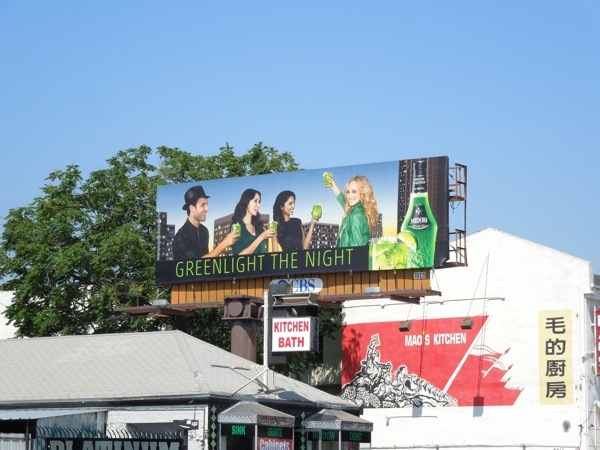 This fresh new Midori billboard was spotted along Melrose Avenue on June 8, 2013. 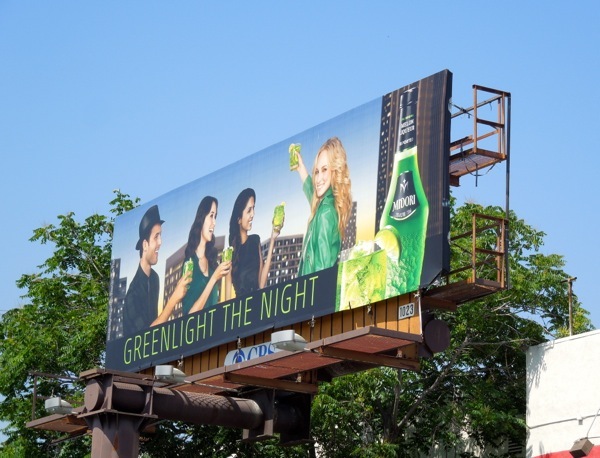 Be sure to also check out Kim Kardashian's Midori billboards to compare the two creatives and let us know which ads you prefer. 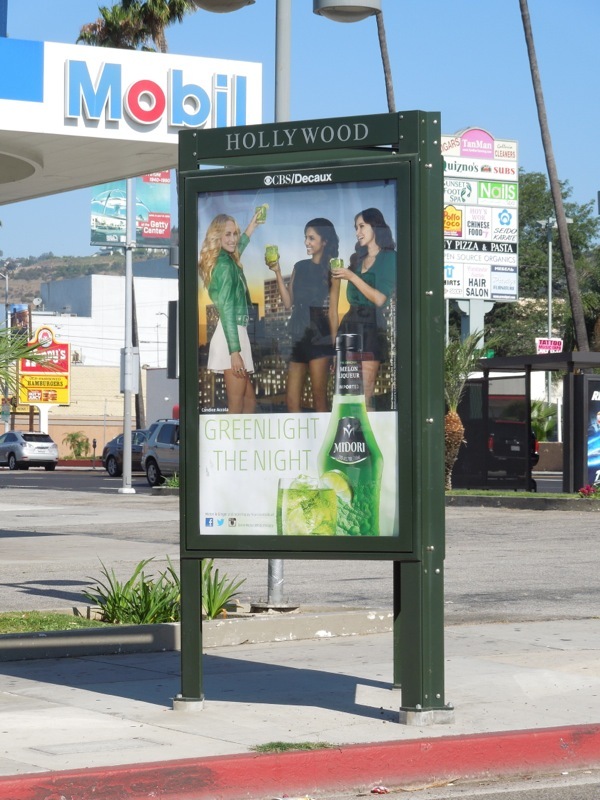 UPDATED: Here's a slightly different portrait poster creative for the campaign featuring Candice Accola, and showing off even more of the actress, snapped along La Brea Avenue near Sunset Boulevard on July 8, 2013.
prefer candice but they could have used better pics thats for sure.